This mornings warmup is centered around Australia day, inspired by Dwald. 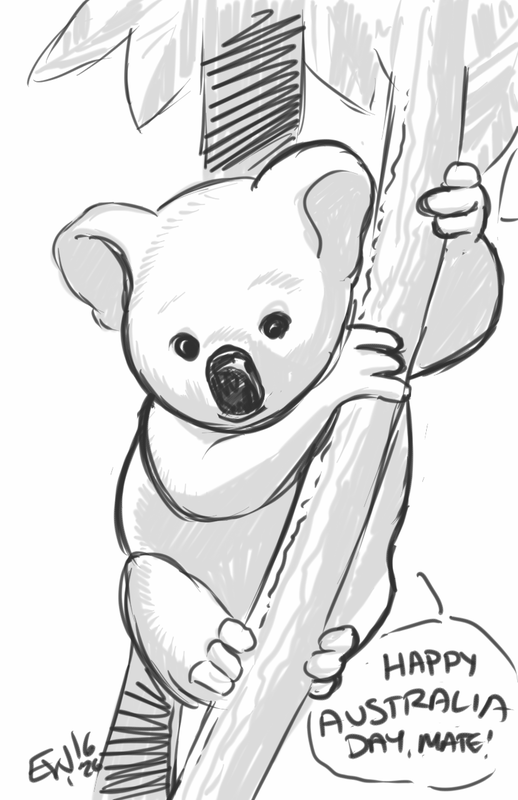 Thought about incorporating the flag, or even mad max homage or crocodile dundee but a cute little koala study before the work day will do just fine. Have a great tuesday.